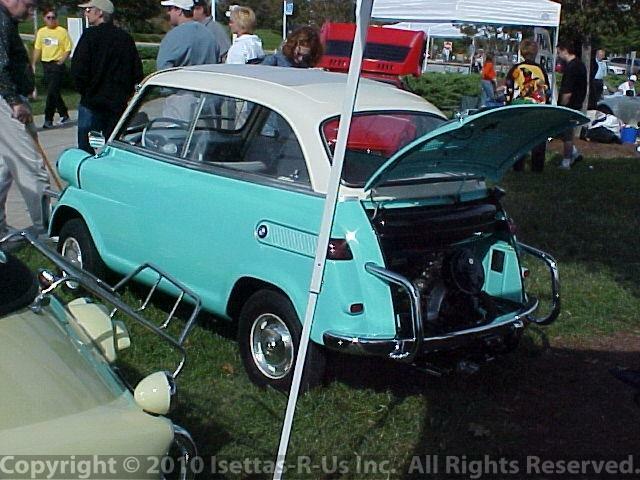 Same BMW show parked next to our Isetta convertible. Still with the 7"inch headlight bucket which I later changed to the 5" inch Euro version. The 7" inch are still in a box with perfect paint in case I will change them back to USA spec.